Chicago’s Knox Fortune is a producer and singer who’s made a name working with a lot of hometown artists, even earning a Grammy for his singing on Chance The Rapper’s “All Night.” But Knox Fortune’s solo work is starting to turn heads too. Paradise, Knox Fortune’s debut, is a singular vision, pulling equally from his love of hip-hop and the Beach Boys. He recently told GQ, “this album was the first time in awhile where I sat down with an idea and I really was trying to make it work, independently.” The music, the production, even the album artwork was all handmade by this young talent. Listen to the feature below, hosted by Jody Denberg and produced by Art Levy. Catch Knox Fortune at KUTX Live at the Four Seasons on Wednesday, March 14 at 8 a.m.
All this week, KUTX profiles the Ones To Watch: seven must-see artists at SXSW 2018. Photo by Jordan Hughes. You’d think a band with eight members living on three different continents wouldn’t really work out. But Superorganism does things a little differently. They write songs via email, a process that the teenage singer Orono says comes pretty easily. The music, film, education and tech-minded masses have descended on Austin. 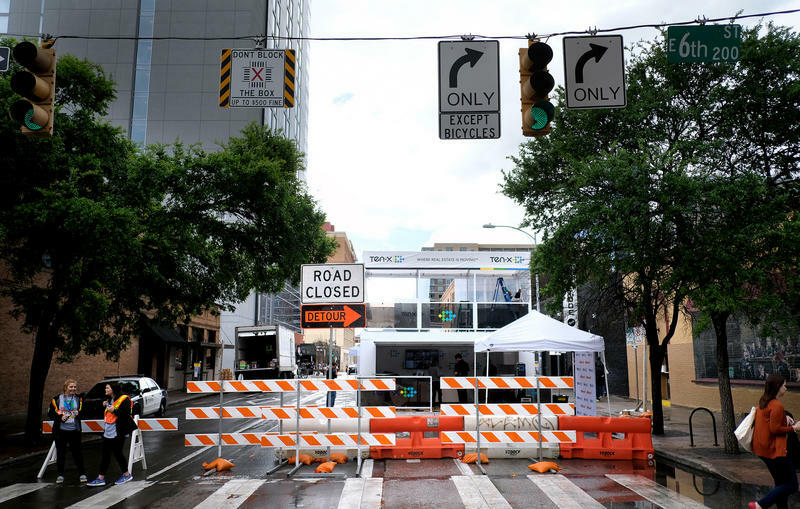 Here's a rundown of how to avoid traffic and get around during the festival – without wanting to claw your eyeballs out, unless you're looking for a parking spot.